Three days into January, I cracked open a jar of the blueberry syrup I canned back in July and inhaled the sweet smell. One nearly-black, sticky spoonful transported me back to that lazy summer day when the fruits simmered into a sauce; I could almost hear the drone of my neighbor’s lawnmower. There’s not a single item in the grocery store that can provide a pick-me-up like that blueberry syrup. You’ve already heard why I’m sold on home preserving, so I won’t say much more other than there are few tonics that beat the January blahs like the flavors of summer preserved in a jar. If you’re a beginner to intermediate home canner, you might want to try canning in smaller batches and spread out the task over the year. This keeps you in the groove, and helps prevent burnout! I’ve talked to many people who’ve walked away from preserving altogether because of one overly intense week. Granted, you really should work when the produce is in season, so the bulk of preserving happens from June to September; however there are still plenty of fun preserving projects possible during the darker months of the year. 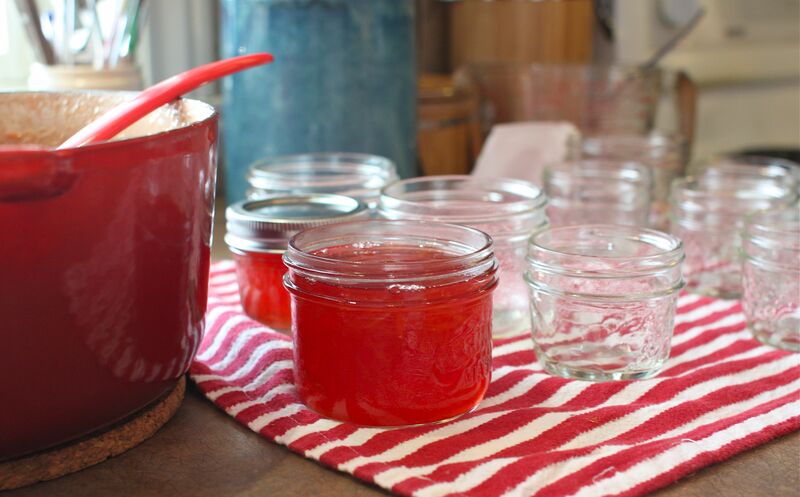 You may remember a round-up of winter home canning projects that I posted in November. It was always my intention to get through the holidays, and then unwind in my kitchen with a couple of preserving ventures in January, because with the snow flying outdoors and the kids away at school, this is the perfect time of year to try something new – like marmalade! Ah, marmalade. That jewel-colored jelly with threads of citrus rind suspended throughout which offer both a delightful texture and hint of bitterness – perfectly contrasting the sweet jelly. 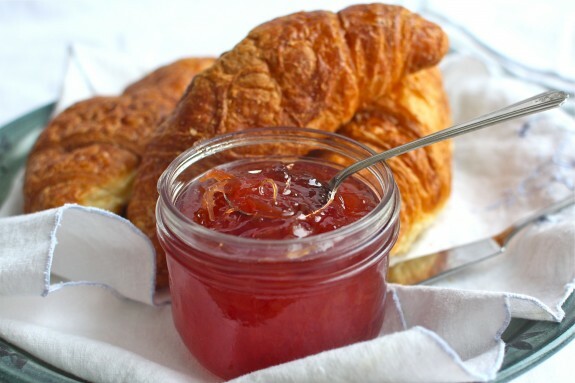 Whether you like it tucked into warm croissants or brushed onto a baked ham, I’ve found marmalade is always best when you make it yourself. Here are a few tips to making great marmalade at home. Use organic citrus whenever possible to avoid the pesticides on the skin which you will be including in your recipe instead of composting. Use a very sharp knife to remove and prepare the rind. This is one kitchen project where you cannot use a food processor. Measure all ingredients out ahead of time. Assemble all canning equipment ahead of time. 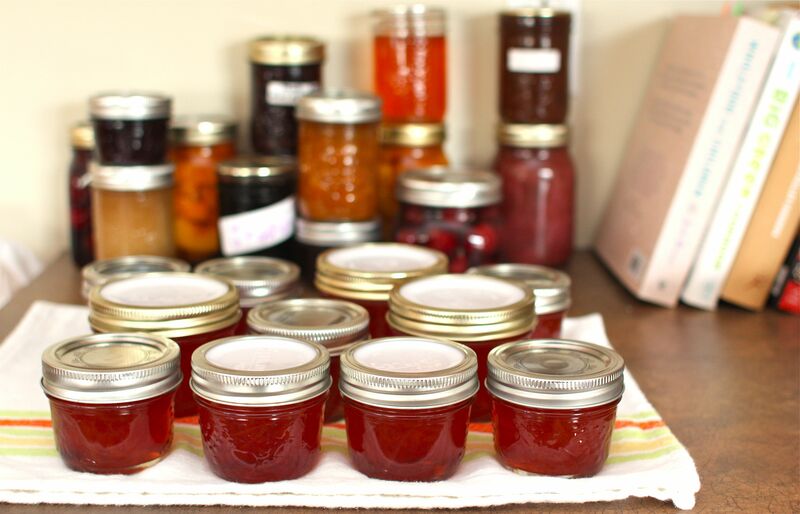 See our guide on Canning Basics for a list of tools. Allow the marmalade to sit, undisturbed for at least one week, to allow it to fully set. Using a paring knife, remove peel from grapefruit in large strips, taking care not to remove too much of the 'pith' or white part. Thinly slice peel, to make 1 cup. In a small saucepan, combine peel and water and bring to a boil over high heat. Reduce heat and simmer, covered, for 15-20 minutes. Set aside. Remove and discard the remaining peel and pith from the grapefruit. Finely chop grapefruit, discarding seeds and any connective membranes. Measure to make 3 cups, including juices. 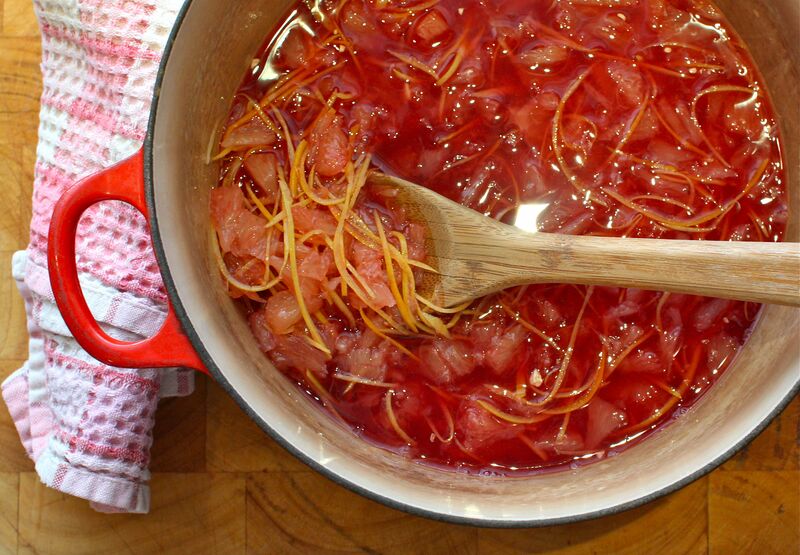 In a dutch oven, combine grapefruit, cooked peel with liquid, and pomegranate juice. Bring to a full boil over high heat; reduce heat and simmer for 5 minutes, stirring occasionally. Stir in pectin until dissolved. Bring to a full boil over high heat, stirring constantly. Add sugar in a steady stream, stirring constantly. Return to a full boil, stirring constantly to dissolve sugar. Boil hard for 1 minute. Remove from heat and skim off any foam. Stir for 5 to 8 minutes to prevent floating rind. Ladle into sterilized jars to within 1/4 inch of rim; wipe rims. Apply prepared lids and rings; tighten rings just until fingertip-tight. Process jars in a boiling water canner for 10 minutes. Transfer jars to a towel-lined surface and let rest at room temperature until set. Check seals; refrigerate any unsealed jars for up to 3 weeks. This marmalade is best served after resting for 1 week. This post is brought to you by Tattler Reusable Canning Lids. Tattler provides BPA-free canning lids with a lifetime guarantee. Ideal for all types of canning. Visit Tattler Reusable Canning Lids for more information. What are you enjoying now that you preserved last year? Wow, this sounds delightful. What is the yield? About 8 small (250ml) jars. 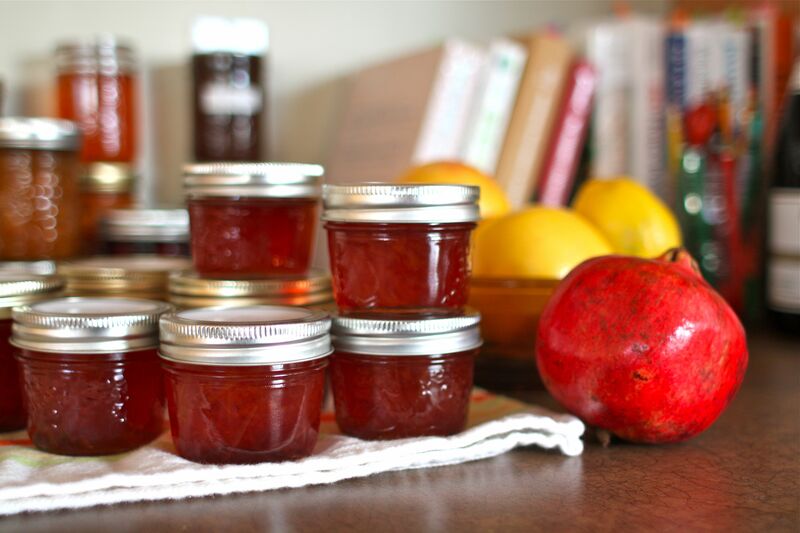 I’ve never tried making my own jam or jelly or marmalade before. Looks amazing! You. Are. Goooooooood. Love the recipe..and the advice on organic citrus! Brilliant! 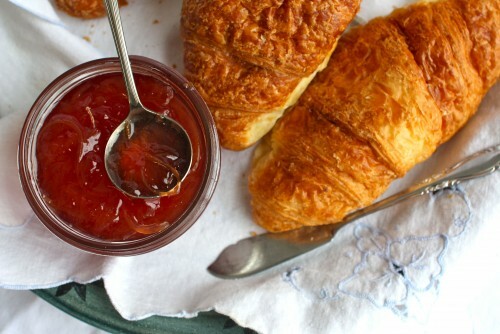 That combo of fruits is absolutely beautiful, and I love the look of the finished marmalade. Apple butter is the only thing I preserved, but it is enjoyable! This sounds amazing! I would love a smear of this on my morning english muffin. Marmalade has always been my favorite. I have a question, I have some glass canning jars, & instead of the metal lids, I have the white plastic ones. Do you think those would be safe to can with? I do not think that you can use plastic lids in canning and end up with a safe product. It really depends. Some plastic canning lids, like Tattler, for example, are made with a plastic compound that is safe for direct contact with food products. I know Tattler uses an FDA and USDA approved food grade product called Polyoxymethylene Copolymer. This formula does not contain BPA! Check with the lids’ manufacturer before proceeding. What a cool recipe, I will need to try it one of these (rainy) days. Yum! i love making orange marmalade in the winter. Right now I’m enjoying my strawberries packed in simple syrup! Oh, I know! We had waffles with strawberry coulis the week. It still tasted so fresh; I have to make more next summer. Oh, I have to make this! 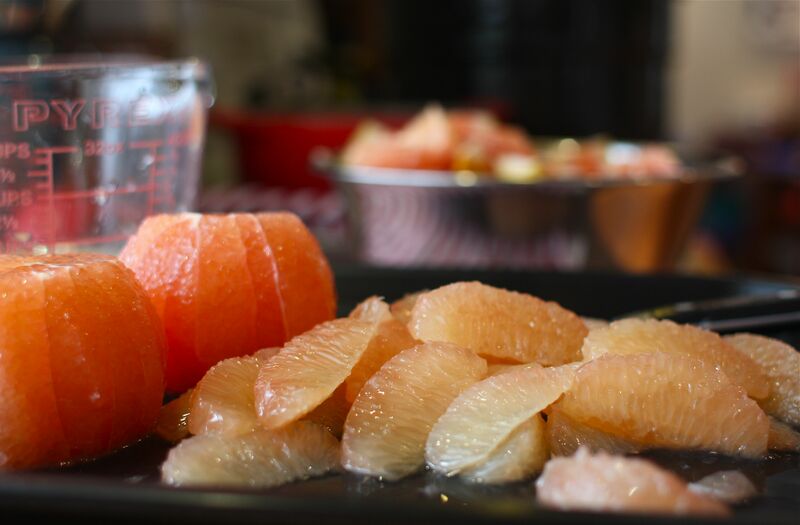 I’ve never done much preserving during the winter but wow… pink grapefruit and pom, so creative!! Oh my gosh this combination sounds amazing. 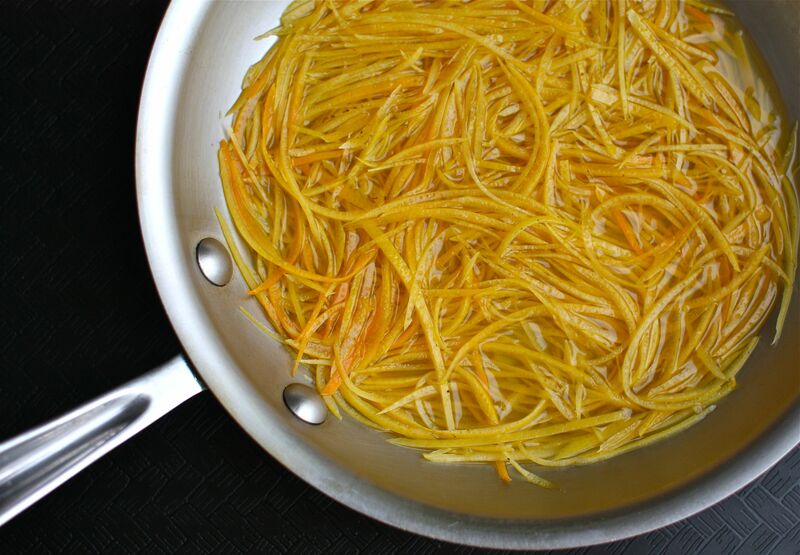 It’s been nearly 15-18 years since I made marmalade and this recipe has me convinced it’s time to do it!! My neighbor bestowed a bag of pink grapefruit upon me right after I saw this recipe–too serendipitous to ignore! Just finishing canning a batch right now; I don’t know if I’ll be able to wait a week to see how it turned out…. Thanks for sharing the recipe. I have it a whirl (made more of a jam since I omitted the grapefruit rind). Photo here. I made this today. I followed your steps to making marmalade. I think your way makes a very nice tasting marmalade, because all the bitterness of the rinds is not there if you do it this way. I used grapefruits, oranges, lemons, and pomegranate juice. I also put in some ginger-root. Thanks for helping make my marmalade a great success! I have made a number of batches of various marmalades, lemon, tangerine, and grapefruit for example. I thought the amount of sugar in the recipe I was using was way too much so I cut it back. I tasted it and it tasted fine so I thought all was well. It was not. The batch never set and it was just syrup. I tried recooking it (after taking it out of all the jars) with more pectin. Still did not set. I scoured the Internet to find out what went wrong. I finally found a very informative article that explained the problem. The ratio of acid to sugar to pectin is critical. Too much variance and the stuff will not set and you end up with syrup. I am fascinated by food science and wish more recipes contained valuable information about HOW and WHY foods cook up the way they do. America’s Test Kitchen does the best job in this regard. Once I know how a recipe works I rarely ever forget to do it right. So be sure to follow the marmalade recipe carefully for a good set. If it does not set do not throw it out. You can recook it and adjust the ratios to make it work (I know from experience). Blessings! Just made this today! If the taste from licking the spoon is anywhere close to the final fab product, this is like sunshine in a jar! Delish! Thanks for the recipe! My husband and I made these this past weekend as a saturday project. It kept us busy all morning. They are very very bitter however. I don’t know if adding more sugar would help that bitterness taste as i would prefer them to be sweeter. My husband and I made these this past weekend as a saturday project. It kept us busy all morning. They are very very bitter however. I don’t know if omitting the rinds from the final product would help with this. I made this and skipped the hot bath. Everything was hot, then they sat for 2 days. They sealed ok. Now they’re in the fridge, we’ve eaten some from one of the cans and feel fine a day later. Should I boil the rest? Would they be ok? Do you think I could halve this recipe? This is THE BEST, most beautiful marmalade I’ve had! I am making it again since I don’t have any left from the first batch a few weeks ago! Friends rave about it!